How’s Your Company Travel Program? Does your Company Travel Program need some attention? Or more specifically an update to reflect company goals and culture? Do you have a travel policy that takes full advantage of corporate services and savings? Could your average ticket price be lowered by modifying purchasing behaviour? Does your repeat business with a particular hotel warrant a local discount agreement? 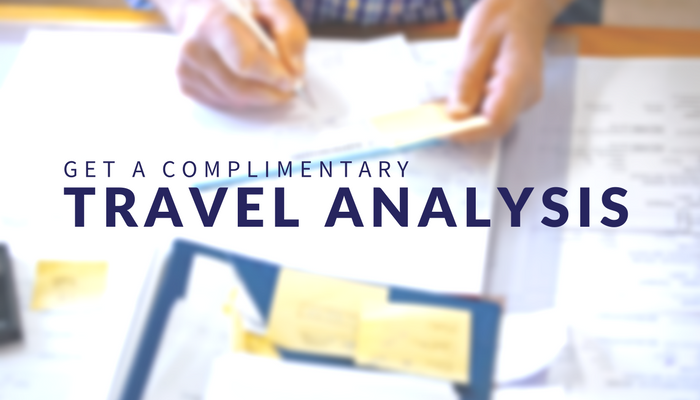 Get started today: Participate in our free business travel analysis. Our travel experts will contact you to set up a meeting via e-mail, phone or in person.